Suppose that Bob asks you to come over to his place for a barbecue. You happily accept, anticipating a great cook-out. When you arrive, though, you’re disappointed to find what he’s put on offer: tofu this, tofu that, tofu the other… The 12-ounce steak you were hoping for is nowhere to be seen! “What’s right for you isn’t necessarily right for me”? We’ve all heard that said. Indeed, many of us have said it. But what does it mean? What does it show? (c) that we must therefore be tolerant of − we have no right to criticize − different moral beliefs or standards or practices. First, we must settle on what it means to say that ethics is objective or that it is subjective. One problem here is that what one person means by “objective” or “subjective” may not be what another person means by these terms. Having said that, I think there is a sense of these terms that is very common, that is, it’s a sense that many people have in mind when they use these terms, and it’s the sense we’ll be using. Question: when there’s a disagreement of this sort between two people, must it be the case that one or other of them is mistaken? The objectivist (i.e., someone who believes that ethics is “objective,” in the sense we’re now working with) says that the answer to this question is Yes, whereas the subjectivist (i.e., someone who believes that ethics is “subjective”) says that the answer is No. If one person says that acting in a certain way under certain circumstances is overall morally right and another person says that acting in that same way under those same circumstances is overall morally wrong, then one of them must be mistaken. If one person says​ that acting in a​ certain way under certain circumstances is overall morally right and another person says that acting in that same way under those same circumstances is overall morally wrong, then neither of them need be mistaken. Notice that if objectivism is true, then subjectivism is false, and vice versa. That is, they cannot both be true. If, when there’s a moral disagreement, someone must be mistaken, then it cannot be that neither of them need be mistaken. Likewise, if neither of them need be mistaken, then it cannot be that one of them must be. Notice also that there’s no middle ground between objectivism and subjectivism. That is, one or other of them must be true. So, which thesis should we accept, and which should we reject? Should we be objectivists or subjectivists about ethics? To get a sense of just what’s at stake here, we can compare being objectivists or subjectivists about ethics with being objectivists or subjectivists about something else. Even before I take the piece of paper out of my briefcase and reveal what shape it has, we all know − I know, Smith knows, Jones knows, you know − that either Smith or Jones must have made a mistake, even if no one (other than me, perhaps) yet knows just which of them has done so. Why? Because a piece of paper cannot be both square and circular. If P is in fact square, then Smith has spoken correctly, but Jones has spoken incorrectly. If, however, P is circular, then Jones has spoken correctly, but Smith has spoken incorrectly. If (as is clearly possible, even likely) P is neither square nor circular, then neither Smith nor Jones has spoken correctly. At any rate, we all know, once again, that it cannot be that they have both spoken correctly. Thus, when it comes to matters of shape, we are all objectivists. Indeed, it’s hard even to imagine anyone taking subjectivism about shape seriously. How odd it would be for someone to say, “Well, you know, what’s square for you isn’t necessarily square for me”! Wouldn’t it be odd if I were to say, “Well, one of you must be mistaken. Let me find out who it is,” and then take a bite? Why would this be odd? Because we don’t (or, at least, we tend not to) think that there’s an objective fact of the matter about how good or bad the taste of something “really” is. We recognize that people have different tastes, and we leave it at that. That is, when it comes to matters of taste, we all are (or, at least, tend to be) subjectivists. We recognize that what tastes good to you doesn’t necessarily taste good to me, that it’s “just a matter of opinion” whether something tastes good or not. So, too, for other matters, such as beauty. 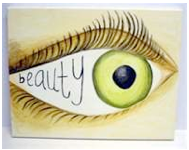 “Beauty is in the eye of the beholder,” we often say, thereby indicating that we are subjectivists about beauty. Let’s now return to our original question. When it comes to the matter of ethics, should we be objectivists, as we are about shape, or subjectivists, as we typically are about taste and beauty? It might well seem that we should accept subjectivism. Why? Precisely because it sounds so reasonable to say “What’s right for you isn’t necessarily right for me.” Just as the oddness of “What’s square for you isn’t necessarily square for me” is an indication that shape is an objective matter, and just as the naturalness of “What tastes good to you doesn’t necessarily taste good to me” and of “What’s beautiful to you isn’t necessarily beautiful to me” is an indication that taste and beauty are subjective matters, so, too, the naturalness of “What’s right for you isn’t necessarily right for me” would appear to be an indication that ethics is subjective. But here, I believe, appearances are seriously misleading. We must move very, very carefully. First, though, we must deal with a preliminary issue. Consider the well-known commandment “Thou shalt not kill.” Presumably, someone who accepts this believes that there’s something wrong with killing. But what precisely is it that this person believes? No, presumably you mean that it would be overall morally wrong for me to kill Sam. But notice that, although that is what you presumably mean, it’s not what you’ve said. In saying “Thou shalt not kill,” you seem to be saying that all killing is overall morally wrong. But it’s doubtful that you would want to agree with that. Consider the following. But that still doesn’t capture all that you mean. Do you believe that it’s always overall morally wrong to kill another human being, no matter what the circumstances may be? Again, probably not (although there do seem to be some people − real “pacifists” − who believe this. They are opposed to killing anyone for any reason − even if doing so is necessary, say, to protect others from murder). So, to be even more precise, what you should have said is “Thou shalt not kill other human beings under the sort of circumstances that obtain in this case.” That is, you’re telling me that it would be overall morally wrong for me to kill Sam under the present circumstances − which of course leaves open the possibility that it would be overall morally justifiable for me to kill someone (Sam, perhaps, or someone else) under different circumstances (say, when doing so is the only way to stop that person from murdering a member of my family). It’s very important to recognize that, when we inquire into whether acting in some way is overall morally right or overall morally wrong, we should pay close attention to the circumstances. This point is often ignored, but ignoring it can lead to unnecessary confusion. Suppose that someone says, for example, “Abortion is morally wrong.” You ask, “Do you mean overall morally wrong?”, and he replies, “Yes.” But, on its own, this answer is unsatisfactory, because he hasn’t specified the circumstances under which he takes abortion to be overall morally wrong. Does he mean all circumstances? Well, then, he should say so. Then you would understand his claim and you could engage with him in a debate about it. Or does he mean only under certain circumstances? If so, then, again, he should say so. Not only that, he should specify the circumstances under which he takes abortion to be overall morally wrong, because only then will he have made clear what his claim is, and only then will you be able to debate the issue with him. Bottom line: when you declare acting in some way to be overall morally wrong, you should make sure that you specify the circumstances under which you take it to be so. So, too, when you declare acting in some way to be overall morally right. Our task is complicated by the fact that there are least two ways in which the claim can be interpreted. We will need to consider both interpretations. In this section, we’ll take a look at the first interpretation. (We’ll consider the second interpretation in the next section.) We can do so by means of comparing two stories. 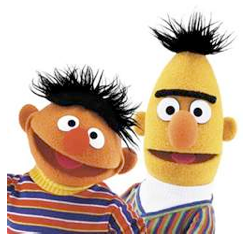 You have two friends, Bert and Ernie. Usually, they get on well with one another, but lately there’s been friction. Ernie has started to get on Bert’s nerves, so much so that tonight Bert has finally flipped his lid. He’s become homicidal (or perhaps I should say muppeticidal). He’s told Ernie he’s going to kill him, and he’s gone to his tool-shed to get an axe for that very purpose. Ernie has seen the writing on the wall, and he’s come to you for protection. He knocks frantically on your front door. “Help!” he yells. “Bert’s after me, and he’s got an axe!” You realize the gravity of the situation, and so you let Ernie into your home. “Quick,” you say, “in here,” and you shove Ernie into a closet, shutting the door. ￼￼What should you say in response? You could of course try to evade the question by changing the subject. “Hi Bert,” you might say. “Great to see you! 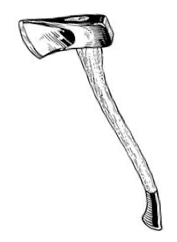 Is that an axe you’ve got there? Looks sharp! Where’d you get it? Home Depot? Lowe’s?” Etc., etc. I suspect that we would all agree that, although there is perhaps always some moral reason not to lie and so lying is always prima facie morally wrong, nonetheless under the present unfortunate circumstances there is even stronger moral reason to lie to Bert, so that doing so would be overall morally right. One morning, when I go out into the parking lot, I see Fred’s Ferrari in its usual space and, as usual, I go over to take a longing look at it. To my great surprise, I see the keys dangling in the ignition. To my even greater surprise, I find the driver’s door unlocked. Immediately, my heart starts beating fiercely inside my chest. I move my hand towards the door but then stop and look around furtively, wondering whether it’s some kind of trick. Am I on Candid Camera? But no, I see no one. So I open the door. No alarm goes off, and I climb in behind the wheel. I can’t believe that I’m sitting behind the wheel of this fabulous car! I step on the clutch and turn the key. The engine fires up immediately, roaring, thundering. I let out a whoop of delight, quickly close the door, put the car into gear, let out the clutch, and peel off. I zip around the parking lot and then take the car racing up the street. It’s like riding a wild animal! But all is not rosy. I come to a sharp bend. I turn into it, tires squealing, and lose control. The car whips this way and that, and I crash into a lamppost. I get out to inspect the damage. Oh, no! There’s a long gash in the passenger door and a huge dent in the front fender. I get back in the car and drive it slowly, sheepishly, back to its parking space. I turn off the engine, leave the keys where I found them, climb out and, looking around once more to make sure that no one has seen me, walk away. I’m in a funk, wondering what to do. When Fred asks me if I know what happened to his now not-so-beautiful car (and he will − I’ll be the first person he suspects! ), should I confess all, or should I lie and pretend to know nothing about it? I want to confess − he is my friend, after all. On the other hand, I fear his wrath. Not only that, if I do confess, I might lose his friendship. Not only that, think of the repair costs! I suspect that we would all agree that, despite whatever reasons I may have to lie to Fred, the overall morally right thing for me to do would be not to lie to him but rather to tell him the sordid truth. It is possible for acting in a certain way under certain circumstances to be overall morally right, while acting in that same way under different circumstances is overall morally wrong. In order to make sure that they haven’t slipped by you, let me immediately repeat the two important points I’ve just made about this thesis. First, circumstance relativism seems clearly true. Together, the two stories I’ve just told would seem to confirm this fact. But even if you have doubts about the verdicts reached in these stories, there are many other kinds of cases that would appear to confirm the truth of circumstance relativism. Consider, for example, crossing the street. Under what might be called “normal” circumstances, there would appear to be nothing wrong with crossing the street; but if I have promised that I will wait for you on the corner and there’s no good reason for me to break my promise, then, under these circumstances, it presumably would be wrong for me to cross the street. And there are indefinitely many other cases of this kind that support circumstance relativism. But now let’s consider the alleged implications, mentioned earlier, of accepting the claim that what’s right for you isn’t necessarily right for me. neither Smith nor Jones need be mistaken. This is to be understood as depicting a situation in which Smith is saying that doing A under certain circumstances is overall morally right while Jones disagrees with Smith and says that doing A under those same circumstances is overall morally wrong. But notice that this is not the sort of thing that’s going on when we say that your lying to Bert would be overall morally right while my lying to Fred would be overall morally wrong, for two reasons. First, there is no disagreement! On the contrary, we have agreed that your lying would be right while mine would be wrong. Second, we’re not talking about the same circumstances! On the contrary, the circumstances under which you would be lying to Bert are ones in which lying would save someone (Ernie) from death, whereas the circumstances under which I would be lying are quite different: lying would perhaps help me save face, but it wouldn’t save anyone from death (unless Fred becomes homicidal upon discovering who crashed his car − but that is not being assumed to be part of the second story). Again, ethical subjectivism says that, where there is disagreement about moral right and wrong, no one need be mistaken. Circumstance relativism, which is exemplified by the two stories just told, gives us no reason to say this. Hence it does not imply that ethics is subjective. Consider now the claim (b) that ethics is not objective. Here I can be very quick. Precisely because circumstance relativism gives us no reason to say that ethics is subjective, it likewise gives us no reason to say that ethics is not objective. There’s another important point to be made, however, that may not be so obvious. Although, as I have just noted, circumstance relativism does not imply that ethics is not objective, it doesn’t follow that it does imply that ethics is objective. On the contrary, circumstance relativism is unfortunately silent on the question whether ethics is objective or subjective. We know that ethics is either objective or subjective − that it must be one or the other and cannot be both. And what we’re trying to figure out is which of these it is. Is ethics objective, or is it subjective? The trouble is, circumstance relativism doesn’t give us any help at all in arriving at an answer to this question. It doesn’t give us any pointers. It is mute. Why? Precisely because it doesn’t concern itself with the issue of disagreement. It simply doesn’t speak to this issue. Consider, finally, the claim (c) that we must be tolerant of − we have no right to criticize − different moral beliefs or standards or practices. Once again, circumstance relativism gives us no reason to accept or deny this claim. Once again, it is mute. You might think that circumstance relativism implies that tolerance of different beliefs and practices is overall morally right under some circumstances while being overall morally wrong under others. But, although this seems to me a very sensible thing to say (something we’ll get back to later), the fact is that circumstance relativism does not imply (or deny) this. That’s because circumstance relativism only says that it’s possible for acting in a certain way under certain circumstances to be overall morally right, while acting in that same way under different circumstances is overall morally wrong. It doesn’t say that it’s always the case that acting in a certain way is right under some circumstances but wrong under others. Although this latter claim may be true, it’s certainly a lot more dubious than the claim that circumstance relativism makes. Consider torturing a baby just for the fun of it. Can you conceive of any circumstances under which acting in this way would be overall morally right? What, then, is the upshot of our discussion of circumstance relativism? A decidedly disappointing one. We’ve discovered that we presumably should accept the claim that what’s right for you isn’t necessarily right for me (when this is understood along the lines of circumstance relativism), and yet we have made no headway regarding the question whether claims (a), (b), and/or (c) are to be accepted. Let’s now turn to the second interpretation of the claim that what’s right for you isn’t necessarily right for me to see if we can do any better. Let’s consider yet another story about lying. Suppose that you and I have a mutual friend, Lily. Lily is really something. She’s energetic, cheerful, vivacious. She’s a breath of fresh air. The room lights up whenever she walks in. She…well, you get the idea. Now, one somewhat unfortunate aspect of Lily’s character is that, in her infectious enthusiasm for life, she pays little heed to the truth. She seems not to notice, or maybe not to care, but the fact is that she often gets carried away and will say the first thing that comes into her head, whether it’s true or not. As a result, she has come to be called “Lily the Liar” by some mean-spirited people who do not appreciate Lily’s virtues. You and I would never call her that, though. We give Lily a lot of leeway, understanding that her lies are not malicious but only a by-product of her passion for life. Still, this isn’t to say that we always approve of her lying. Sometimes, we think, she should restrain herself. The situation depicted in this third story is of course very similar to the situation concerning you and Bob, the vegetarian, that was depicted at the outset of our discussion. What do I mean when I say that what Lily did was right for you but wrong for me? Presumably this: you believe that, under the circumstances, Lily did nothing wrong in lying as she did, whereas I believe, to the contrary, that she did indeed do something wrong. Notice that, in this case, we are of course disagreeing with one another. We’re both talking about Lily’s lying under one and the same specified set of circumstances. This is in sharp contrast to the previous pair of stories in which we were not disagreeing with one another since we were comparing your lying under one set of circumstances with my lying under a different set of circumstances. So in this instance, it would seem, we’re concerned with a situation that is relevant to the question whether ethics is objective or subjective. What moral should we draw? It is possible for individual persons sometimes to disagree about whether it is overall morally right or overall morally wrong to act in a certain way under certain circumstances. I should perhaps add that I take it that personal belief relativism constitutes by far the most common way of understanding what people mean when they say that what’s right for you isn’t necessarily right for me. That is, when people make this claim, it is almost always the case, I believe, that it is this interpretation of the claim that they have in mind. Second, it is important to note that personal belief relativism is clearly true, and hence that it is true in this sense (that is, on this interpretation of the phrase) that “what’s right for you isn’t necessarily right for me.” Indeed, as I noted earlier, if moral disagreements of this sort weren’t common, there’d be no need for this course! It is possible for entire cultures sometimes to disagree about whether it is overall morally right or overall morally wrong to act in a certain way under certain circumstances. Fourth, if we overlook one minor problem, it is clear that, like the personal version of belief relativism, the cultural version is also true. The one minor problem is that sometimes it is not so clear just what it means to say that a culture (or society) holds it to be overall morally right or wrong to act in some way. Consider the matter of eating pork, for example. Should we say that this is right in the United States but wrong in Iran? What would this mean, on the present interpretation of “right in” and “wrong in”? That no one in the United States has a moral objection to eating pork while everyone in Iran does? That is surely false. Nonetheless, it is presumably true that eating pork is generally frowned on in Iran but not in the United States (whatever precisely “generally” means in this context), so that in this sense it is presumably correct to say that eating pork is wrong in Iran but not in the United States. Let’s now consider the alleged implications, mentioned earlier, of accepting the claim that what’s right for you isn’t necessarily right for me. neither Smith nor Jones need be mistaken. But this is not something that personal belief relativism implies. Why? Because all that it says is that situations of the sort just depicted − situations in which one person says “right” and another says “wrong” − can arise, and this is of course true. But it doesn’t say anything beyond this. In particular, it does not say anything about whether, in such situations, anyone must have made a mistake or need not have done so. It simply leaves this question open; it doesn’t address the issue. Like circumstance relativism, belief relativism is silent on the key question that concerns us, namely, whether ethics is objective or subjective. So, too, for the claim (b) that ethics is not objective. Precisely because belief relativism gives us no reason to say that ethics is subjective, it likewise gives us no reason to say that ethics is not objective. Remember, though, that, although belief relativism does not imply that ethics is not objective, it doesn’t follow that it does imply that ethics is objective. On the contrary, as I have just pointed out, belief relativism is unfortunately silent on the question whether ethics is objective or subjective. Again, we know that ethics is either objective or subjective − that it must be one or the other and cannot be both − and what we’re trying to figure out is which of these it is. The trouble is, like circumstance relativism, belief relativism does not help us to answer this question. There’s another way to see why it is that belief relativism is of no help in this regard. Notice that both objectivism and subjectivism presuppose that belief relativism is true. That is, objectivists and subjectivists agree that situations of the sort depicted above, where one person (or culture) says “right” and another says “wrong,” can and do arise. What objectivists and subjectivists disagree about is what to say about such situations. Objectivists say that, when such situations arise, someone must have made a mistake, whereas subjectivists deny this. But, again, they both acknowledge that such situations occur. This is, if you like, common ground between them; they both accept belief relativism. It’s clear, then, that accepting belief relativism cannot by itself help resolve the dispute between objectivism and subjectivism; it cannot help us decide which to accept and which to reject. (1) There is disagreement concerning whether it is overall morally right or overall morally wrong to perform an act of a certain kind K [having an abortion, for example] under circumstances C [when the mother’s life is not at risk, for example]. ∴ (2) There is no objective fact of the matter concerning whether it is overall morally right or overall morally wrong to perform an act of kind K under circumstances C.
(1) Belief relativism is true. 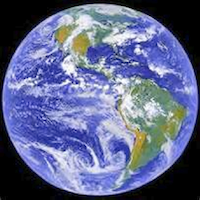 ∴ (2) Ethical subjectivism is true. 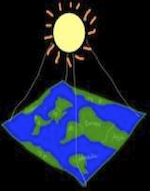 (1) There used to be disagreement concerning whether the earth is round or flat. ∴ (2) There is [used to be?] no objective fact of the matter concerning whether the earth is round or flat. (1) There is disagreement concerning the origin of the universe. ∴ (2) There is no objective fact of the matter concerning the origin of the universe. I cannot think of anyone who would be attracted by either of these arguments. Their invalidity (and hence unsoundness) is obvious. In both cases, the one and only premise is true, but in both cases the conclusion fails to follow. What is true in the case of non-moral disagreements is equally true in the case of moral disagreements. The fact that some disagreement exists tells us nothing about whether there is an objective fact of the matter concerning what it is that the disagreement is about. You might think I’m overlooking something important here. You might think that there’s a crucial difference between moral and non-moral disagreements, namely, that non-moral disagreements can be resolved simply by checking the facts, whereas that can’t be done in the case of moral disagreements. You might think I’m still overlooking something important, namely, that moral disagreements are much more widespread than non-moral disagreements. But this, too, is problematic. First, just how widespread moral disagreements are is not clear. Appearances can be misleading. In this course, we’ll be investigating certain controversial moral problems, regarding which disagreement is of course widespread. But there are many moral issues regarding which there appears to be little if any disagreement. Consider child abuse. How many people are there who think that engaging in such behavior is acceptable under any circumstances? I venture to say: very few. It’s precisely because this is so that we won’t be investigating the ethics of child abuse in this course. Second, there are many non-moral issues regarding which disagreement is indeed widespread. I’ve already given you an example: the origin of the universe. Consider, finally, the claim (c) that we must be tolerant of − we have no right to criticize − different moral beliefs or standards or practices. Once again, belief relativism gives us no reason to accept or deny this claim. Once again, it is mute. Why? Because it only concerns itself with disagreements about moral right and wrong; that is, it only concerns itself with what beliefs people have about such matters. It says nothing about what is right or wrong, and so it says nothing, in particular, about whether it is right or wrong to be tolerant of other people’s moral beliefs or standards or practices. What, then, is the upshot of our discussion of belief relativism? Once again, it is a decidedly disappointing one. We’ve discovered that we presumably should accept the claim that what’s right for you isn’t necessarily right for me (when this is understood along the lines of belief relativism), and yet we have made no headway regarding the question whether claims (a), (b), and/or (c) are to be accepted. 5. Is ethics objective or subjective? I have argued that the claim that what’s right for you isn’t necessarily right for me gives us no reason to say that ethics is subjective, that is, no reason to say that ethical subjectivism (as defined above) is true. I have distinguished two interpretations of the claim, which I have called circumstance relativism and belief relativism, and I have pointed out that on each interpretation the claim would seem clearly to be true, but also that on neither interpretation does the claim give us any reason to say that ethics is subjective, contrary to what many people seem to think. I have argued, moreover, that the claim in question also gives us no reason to say that ethics is objective, that is, no reason to say that ethical objectivism (as defined above) is true. So the question remains: which is it? Is ethics objective or subjective? We know that it must be one or the other. What can we do now to answer this question? Well, I won’t try to answer it by arguing for either objectivism or subjectivism. What I will do is point out, first, the price of accepting subjectivism and, secondly, the fact that this price is something that you are probably unwilling to pay. That is, Smith says, “The earth is flat,” and Jones disagrees, saying, “No, it’s not. It’s round.” Jones is thus denying what Smith is asserting. Now go back to the dispute about the sub. Smith says, “This sub tastes great.” Jones disagrees. But it would be very odd if Jones were to express his disagreement by saying, “No, it doesn’t. It tastes awful.” Why would this be odd? Because Jones’s use of the word “No” would seem to indicate that he thinks that there’s some objective fact of the matter about how good or bad the sub tastes and that Smith has got this fact wrong. But that is presumably not what’s going on when Jones disagrees with Smith. Jones is not denying what Smith is asserting. Again, Smith is saying that he (Smith) likes the taste of the sub, and Jones is not denying that. That is, Jones is not saying that Smith doesn’t like the taste of the sub. Rather, he’s saying that he (Jones) doesn’t like the taste of the sub. That’s why it’s possible for them both to be speaking correctly. Obviously, it’s perfectly possible for it to be true both that Smith likes the taste of the sub and that Jones dislikes it. Now return to the dispute about the shape of the earth. Clearly, it’s not possible for both Smith and Jones to be speaking correctly. It’s not possible for it to be true both that the earth is flat and that it is round. Suppose that you are Smith and that I am Jones and that what we’re discussing is the lie that Lily told in the story I gave earlier. You say, “What Lily did was right.” I say, “No, what she did was wrong.” I am thereby denying what you are asserting. So, too, if you were to reply to me by saying, “No. To repeat, there was nothing wrong with what she did”: you would be denying what I am asserting. This, at least, would seem to be the most natural way to understand what’s going on. That is, moral disagreements, like disagreements about shape and unlike disagreements about taste, would seem to be cases in which one person is denying what the other is asserting. That is, moral disagreements, like disagreements about shape and unlike disagreements about taste, would seem to be cases in which the disputants are presupposing that there is an objective fact of the matter about which the other person is mistaken. And here’s my point: isn’t this what’s going on when you have a moral disagreement with someone? Don’t you take yourself to be denying what the other person is asserting? Suppose, for example, that you are opposed to abortion under certain circumstances when another person is not, and he says, “Abortion under such circumstances is perfectly justified.” You respond by saying, “No, it’s not. It’s wrong.” You are denying what he is asserting. Or it could go the other way. He thinks such abortion is wrong but you think it’s justified. He says, “Abortion under such circumstances is wrong,” and you reply, “No, it’s not. It’s perfectly OK.” Again, you are denying what he is asserting. If, as I assume, I have accurately characterized what’s happening when you have a moral disagreement with someone, that means that you are an objectivist! If so, you should come out of the closet and admit it, not only to others but to yourself. Now, nothing that I have said shows that you should accept objectivism (that is, that objectivism is true). I’ve only pointed out that, in all probability, you do accept it. The price of denying objectivism and accepting subjectivism instead would be to resign yourself to the idea that moral disagreements are as “idle” as disagreements about taste. As I see it (although I won’t try to argue for this here), and as I expect you see it, this price is just too high. It would mean having to say not only that there is no objective fact of the matter about, say, the morality of abortion, but also that there is no objective fact of the matter about, say, the morality of child abuse. It would mean having to say that no one would or could be mistaken in saying that there’s nothing wrong with abusing children. But who among us really wants to say that? Who really wants to say that whether it’s right or wrong to abuse a child is “merely a matter of opinion”? You may feel uneasy with what I have been saying. You may agree that we shouldn’t take seriously the idea that it’s OK to abuse children, but what about abortion? Isn’t that a much more difficult issue? Well, of course it is. That’s precisely why we’ll be discussing it later in the course! It’s controversial, and it’s controversial because it’s such a difficult issue to resolve. So, too, with the other moral problems we’ll be discussing. They’re difficult! I don’t want to deny that this is the case. On the contrary, I want to emphasize how difficult they are, which is why I want to caution you against making up your mind too quickly about them. As I said at the beginning, it’s important − very important indeed − to keep an open mind about such questions. But that certainly doesn’t mean that there’s no answer to these questions. What would be the point of discussing them, if there were no answer to be found, at least in principle? No, the whole point of discussing these issues is to try to arrive at the most reasonable answer to them, all the while keeping in mind that, because of the complexity of the issues, this answer may prove elusive. We must be prepared for the distinct possibility that, even if there is in principle an answer to be found, in practice we may not be up to the task. We may fail. But that doesn’t mean we shouldn’t try. What, finally, about the question of tolerating other people’s moral beliefs or standards or practices? Here I want briefly to make just a few points. First, if in some situation you say that we should be tolerant of something, you are, once again, presumably denying what another person is asserting when he says that we should not tolerate that thing (whatever it may happen to be). Thus, preaching tolerance certainly does not commit you to the claim that ethics is subjective. On the contrary, it would seem to presuppose that ethics is objective. Second, I doubt that anyone would want to preach tolerance about everything. It is one thing to tolerate someone else’s beliefs or standards or practices regarding, say, abortion. It would be quite another thing to tolerate someone else’s beliefs or standards or practices regarding child abuse. Third, there’s a difference between tolerating a belief or standard, on the one hand, and tolerating a practice, on the other. You might be prepared to tolerate the belief that child abuse is morally acceptable − you might think, for example, that it would be wrong to suppress public debate about the matter or to insist that anyone who advocates child abuse should be sent to some kind of reform school so that he is “cleansed” of this odious belief. But tolerating the practice of child abuse would be quite another matter. Fourth, it can of course happen that you believe that some practice, some way of acting, is overall morally wrong but should nonetheless be tolerated. There is nothing necessarily inconsistent about such a position. For example, many people who are opposed to abortion believe that a pregnant woman should nonetheless be left free to make the choice whether to have one. 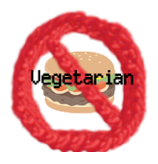 So, too, it’s very common for someone who is a vegetarian to tolerate other people’s eating meat. It is a difficult question just when it is overall morally right not to interfere with someone else’s doing something that one takes to be overall morally wrong. That is, it’s a difficult question just when tolerance is overall morally right and just when it isn’t. This would itself have been a good candidate as one of the moral problems to be investigated further in this course.